Very successful year, my friend! I always enjoy seeing what you do with your home and look forward to see what you have in store for 2013! Fun review of the year! I still love the backsplash! All great projects but my fave is the backsplash. I want to get working on ours but first we need new counters. The console table is pretty cool too though. All around you did a fantab job! Looking forward to your 2013 projects! It doesn't appear that 2012 was a slow year. My favorite project was the back splash. If it was mine I'd pet it everyday. I'm excited to see what you guys do in 2013! Is.... is that a picture of you with blond hair? lol Amy, I saw that too. Busted. I was blond up until a few years ago. That is a killer backsplash.. we are years away from getting to our kitchen. I'm living my new kitchen vicariously through yours. I have those curtains in teal hanging in our living room. Ryan hates them but I don't care! :) So excited to see what you'll come up with this year. I'm new to following your blog, but I am drooling over everything so far. And don't you dare expect me to be quiet about it either. what a year!!! i think the bed is my favorite, but the hairpin table is a close second! and i forgot to reply about bangs... i say do it! it's hair and it grows so what is the harm in trying. your hair is relatively short, too, so growing back out is not an issue. i also had them as a child til i was like 15... so i was scared.... but then i thought, eh, it's just hair. if i look bad i will just wear a hat, and i like hats. :) you could also pin yours back and it would look cute with your cut. I'm loving that console table and the bed frame too! I definitely love the backsplash best! I can't pick a favorite...I love the bed, and the console table, and the backsplash...hmmmm. That's a solid year, my friend. Blog-wise and home-wise. We (Rick) are in the process of building a bed frame! I think my favorite project is the entry table, because i keep trying to force adam to make it for me. 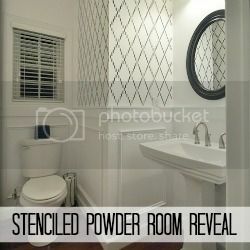 My favorite post was when you announced that your powder room was featured on YHL! I still have major blogger envy :P I was so psyched for you!!! You had a majorly productive year. Impressed over here. There were even a few projects that I somehow missed the first time around. I don't know how, because I stalk your blog. First up, that steak. I need it in my belly. I loved your powder room makeover and can't believe that didn't rank top 10. Wow, you 2 were busy bees in 2012. Congrats on all the great projects. I can't wait to see what the new year has in store for you. Definitely some great projects! 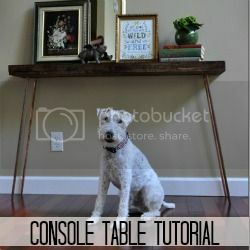 I think the console table is my favorite as well! I also love the cabinet makeover that you did at your brother's house. I'm definitely going to have to try the Rustoleum kit when we do our kitchen cabinets. I think my favorite posts were the ones with Ike in them. Yep, those were the best. Beyond that item, I'd say my favorite for the year was actually your backsplash. It was timely for us, since we were doing our backsplash too. Though we didn't use the same approach, it was interesting to read how you accomplished a very similar install to our backsplash in very different ways. I've actually referred several friends to that post when they've said "how hard was it to do your backsplash?" 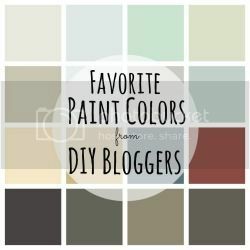 I say, "Check out our blog post and then check out Decor and the Dog's, that'll give you an idea." Great projects! 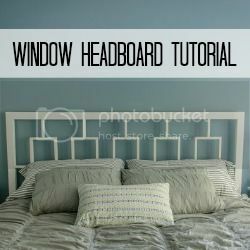 The West Elm inspired headboard is beautiful! I've had fun checking out all your projects in 2012. Looking forward to seeing more, more, more in 2013 (no pressure!). Happy New Year. What a great year. Everything was just beautiful, but I do love that console table. Wow girl! You were busy in 2012. I loved all your projects, but I think my favorite is the backsplash. Your kitchen beats my kitchen's arse.